IBM, Right Now is the Queen of Cloud Computing Without Forgetting Mainframe Computing and Not At All Ashamed to Use Tape For Cloud Storage. As we mentioned in our previous review of IBM BlueMix, IBM is a serious matter now, apart from HP’s Cloud Computing. In this article we will discuss three important aspects of IBM Cloud and IBM – becoming the Queen of Cloud Computing, second is not forgetting the mainframe production and third is using tape for low cost cloud storage. IBM claims to be the largest cloud providers in the industry, but there are peoples who consider this information to be untrue. According to some, the only serious competitor to Amazon AWS cloud today is Microsoft, followed by everyone else, including even IBM. And to confirm this view, there would also be the Magic Quadrant compiled by Gartner, which shows which providers are more advanced and more dangerous. Assay claims that Microsoft has managed to redeem themselves from Office 365 to to the real cloud in a serious way, enclosing the brand Azure offering complete IaaS and PaaS solutions, which are able to support the proposals already existing via SaaS. IBM did not remain that to outsource the management of their cloud, a fictitious outsourcing, as the company is dealing with, SoftLayer, it was just acquired and incorporated into the American giant. The market will declare the winner in future. Only company that looks to the cloud computing and continue to develop mainframe computer is IBM, even not HP. One might wonder what is going on in IBM. The company’s bet on cloud computing also pays about a billion dollars on its mainframe IBM Z13, a new model of the System Z mainframe. In fact, if well considering the use you can make out of a mainframe, it understandable that the intentions of looking at clouds and at the same time continue to develop mainframe is not irreconcilable and in some way, follow the logic of an evolving IT market, with the purchasing decisions technological enterprise mainly driven by digital transformation that is taking place. Thus, the Z13 mainframe is shown to be one of the more powerful platforms to drive this digital transition and, in some way, is also capable of supporting the efforts that companies (and basically also the same IBM) are doing to look at cloud computing. In this time of digital transformation, however, cloud computing is not the only expression. 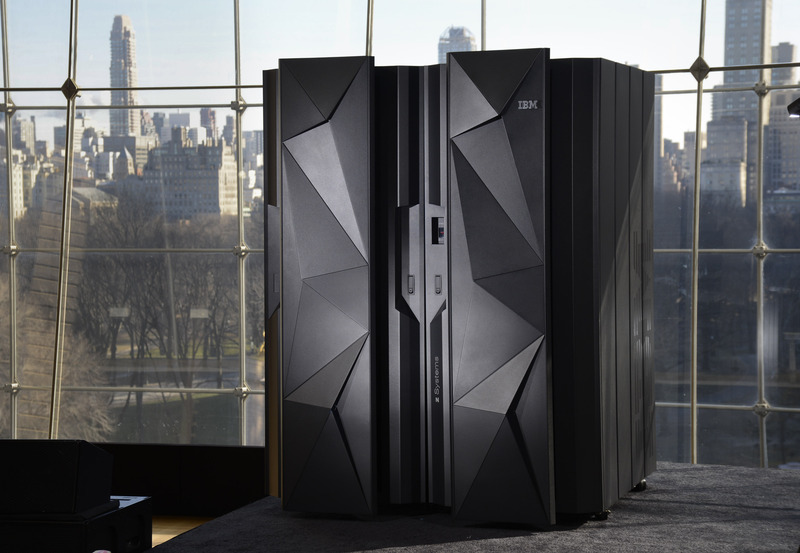 There is for example the furniture that still revolves around more traditional equipment and it is in this context that the new IBM mainframe can find its most interesting application as challenges. The digital challenge more pressing, in fact, is the ability to support mobile transactions. The explosion of mobile traffic has led to a snowball effect especially for all those financial services such as online banking and mobile payments. This mobile traffic is the effect of what might be called the economy of applications, where thousands of applications create incredible volume of data to be transmitted safely and supporting billions of transactions seamlessly. So, all this mobile traffic can be managed by a mainframe such as from IBM, however, brings an important principle, that how much information a mainframe processes. While recalling the glory days of the IBM mainframe of 1960s and 1970s, this method of payment currently amazes the IT managers, showing them that mainframe can still be affordable. In a payment model that resembles the cloud computing, customers pay only for the resources they use, the mainframe Z13 has up to 141 processors, but not all are launched at the start. Customers can start are the ones they need and pay only for that processing power. In addition, the idle processors can be activated automatically when it becomes necessary to draw the traffic peaks, before returning quiescent when traffic returns to normal. Again, mainframes seem to remember the typical elasticity of cloud computing. This elasticity is affordable and at the same time ensures the higher transaction frequency. To reduce the cost of the cloud storage IBM chose to take into account technologies now in standby such as the magnetic tape. In the world of cloud storage, in order to convince companies to entrust their data to the cloud, it is willing to reconsider old technologies that could lead to significant cost savings. The first company to be certain it is IBM, which recently launched Project Big Storage, a big data storage system that adapts old technologies now on standby, including the magnetic tape and combines them to save money to businesses. IBM is aware that companies are accumulating an ever-increasing volume of data. This is not only of documents related to the business, but also of collateral data, such as video surveillance, which in effect are not used continuously but need to be stored for long periods. In addition, all new analytical tools are exploiting old data to improve functionality. All markets where the historical data play a vital role and need to access it regardless of where they are located. SSD eventually has troubles. Cite this article as: Abhishek Ghosh, "IBM : Queen of Cloud Computing Not Forgetting Mainframe," in The Customize Windows, July 12, 2015, April 21, 2019, https://thecustomizewindows.com/2015/07/ibm-queen-of-cloud-computing-not-forgetting-mainframe/.